We have designed and supplied numerous gas turbine ventilation systems, including off-shore and on every continent in the world. These systems include pressurisation supply air systems and on occasion, hot air extract systems. high pressure exhaust frame blowing systems have also been supplied providing cool high pressure air to cool bearings. 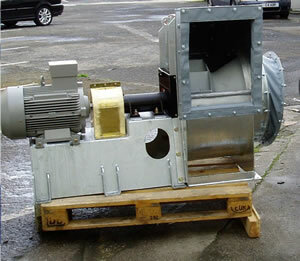 These high pressure blowers are normally supplied complete with acoustic booths to minimise surrounding noise.